The inspiration for this book came from a simple forum post. I had just watched the film Flight starring Denzel Washington. I’m a big fan of Robert Zemeckis. But he got so many things wrong in the first thirty minutes of that film that I wanted to throw something at the screen. I won’t go into detail, that would take too long, but I’ll give just one example. There is no magical lever that gives the pilot manual control. I still can’t understand how Zemeckis, who is a pilot, could make such a glaring, inexcusable error solely for what he thought would make for a dramatic moment. It’s sort of like a heart surgeon grabbing a pair of scissors to cut into a patient to begin a heart transplant. So after sitting through one stupid scene after another, I decided to check out a pilot forum to see what other pilots thought of the film. That’s when I saw a post about TWA 841. The author of the post made a comment that the filmmakers should have told the real story of TWA 841 and how the crew got screwed over by Boeing and the NTSB. Now I had heard of TWA 841. I remember thinking at the time that those pilots were toast. There’s no way they would be able to keep their jobs after the NTSB accused them of causing a near-fatal dive of close to 39,000 feet, and then attempting to cover up their actions by erasing the cockpit voice recorder. I assumed that the captain was selling real estate somewhere. But I soon learned that not only was the crew not fired, but TWA and the pilot’s union fought for years to have the NTSB findings reversed. Now there’s a story. So if Boeing and the NTSB got it wrong, what really happened? What connection is there between TWA 841 and a string of unexplained rollover accidents in 1990s? As I dug deeper, a clear picture of what took place emerged. This story had all of the elements of a wrongful criminal conviction: erroneous eye witness testimony, false leads, investigator tunnel vision, manipulation of the evidence to fit a theory, etc. And at the very heart of the story was a conflict between the credibility of a flight crew against the integrity of the most popular aircraft in the world. Boeing and the NTSB won the first round. I hope this book sets the record straight and the crew is finally vindicated. Emilio Corsetti III is a professional pilot and author. 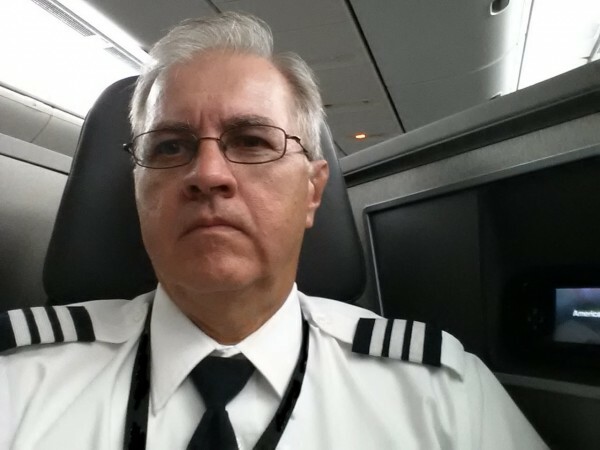 Emilio has written for both regional and national publications including the Chicago Tribune, Multimedia Producer, and Professional Pilot magazine. Emilio is the author of the book 35 Miles From Shore: The Ditching and Rescue of ALM Flight 980. 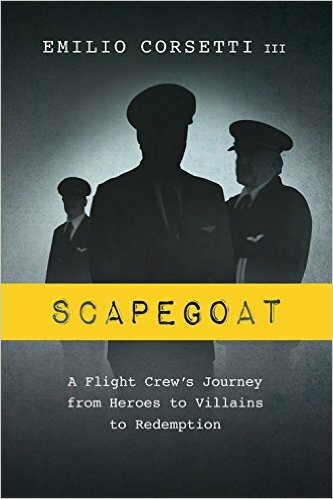 The upcoming book Scapegoat: A Flight Crew’s Journey from Heroes to Villains to Redemption tells the true story of an airline crew wrongly blamed for causing a near-fatal accident and the captain’s decades-long battle to clear his name. Emilio is a graduate of St. Louis University. He and his wife Lynn reside in Dallas, TX.